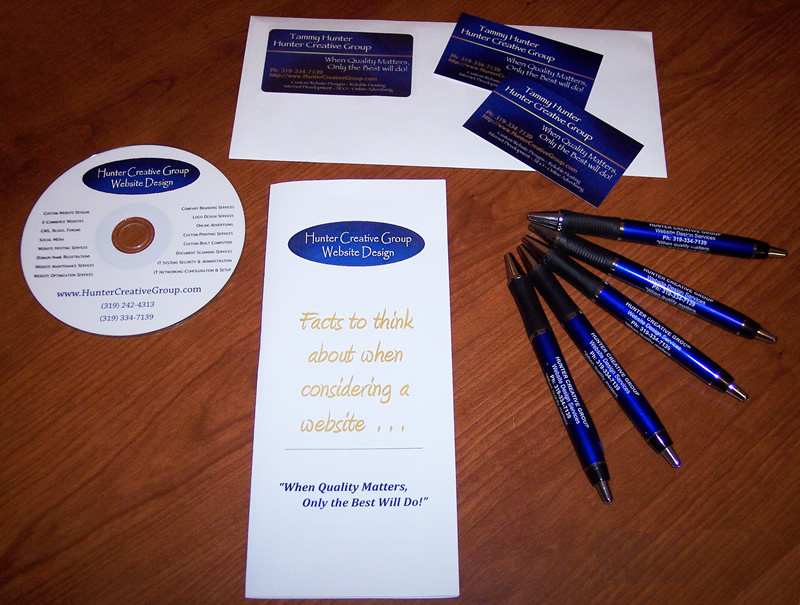 There are many ways to promote your business or company brand. Hunter Creative Group is here to help get and keep your business at the forefront of your current and potential customer's minds! You will find a few of our promotional products on our Custom-Designed Products page. While this is not our complete listing, it should give you an idea of the types of promotional products we can design and create. We are working on getting a catalog of our promotional items created and posted on our website so please keep checking back. In the meantime, if you are looking for something specific, please Contact Us. We will be happy to help you find what you're looking for!